What Goes Up In A Down Economy? I briefly touched on John Maynard Keynes’s track record on investments in his personal account in the last post. I wanted to take a deeper dive into the impact margin loans had on his results. For those not aware, a margin loan is borrowed money used to buy securities in an attempt to juice returns. The results can be exceptional if things go right or horrendous when things go wrong. When you borrow money against an asset, and the value of the asset falls, bad things can happen. The same is true when borrowed money is used to buy an asset like a stock, that then declines in value. The main reason is due to minimum margin requirements. 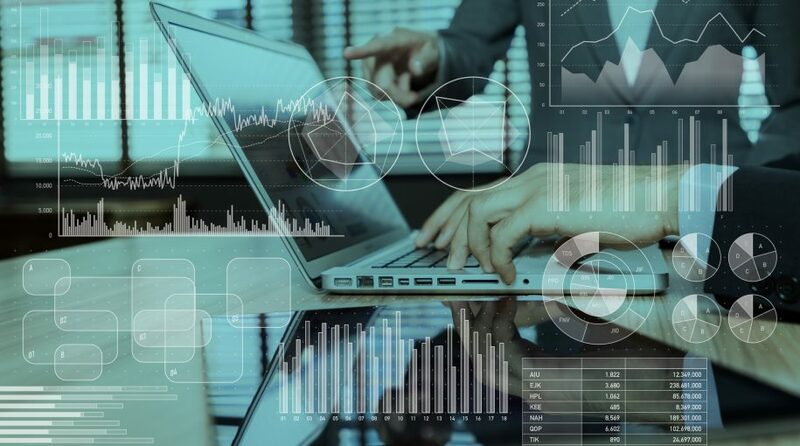 Lenders don’t like to lose money any more than we do, so minimum margin requirements help to safeguard lenders from losses. But they don’t protect you from losses. In fact, it does the opposite whenever the minimum gets triggered. At that point, you’re hit with a margin call and forced to cover the difference. So you either scramble to come up with more money or are forced to sell. Forced selling is the typical outcome, at what is likely a (big) loss. Keynes talks about being forced to sell shares because of margin calls several times. The only thing worse than selling out of fear after a sharp decline is being forced to do it. At times, Keynes was forced to take huge losses, while knowing he likely sold near the bottom too. It’s like rubbing salt in the wound. To give you a better idea of what he dealt with, I snapped a couple of images showing his record from 1905 to 1945. Keep in mind, this doesn’t account for any money being added or removed in any given year. It just shows the change in security value and net asset value from year to year. So it’s not a perfect picture of his annual returns. But I think it offers a rough idea of the type of big swings his investment strategy produced. Once Keynes started on margin, he was hooked. Whether it was some internal need to get rich quick, I don’t know, but it seems like it. He fully experienced the joys and pains that came with it. Over the entire period, Keynes played in the UK stock market, the US stock market, commodities, and currencies. He had no problem having half the portfolio or more in borrowed money. The big hit in 1920 completely wiped him out. He was in the hole, plus owed money to friends and family shown in the footnote of Table 3. He borrowed more from friends and family to stay in the game, which took him two years to get back to even and repay everyone. And he did it the same way he lost it, by speculating mostly in currencies and commodities on margin. In 1934, there was a drastic increase in the number of securities held. Don’t let the numbers fool you. Keynes preferred a concentrated portfolio. Even though the total number of securities increased, a small number, roughly 3 or 4, consistently made up half his portfolio. The first thing that strikes one…is that he was not uniformly successful as an investor. 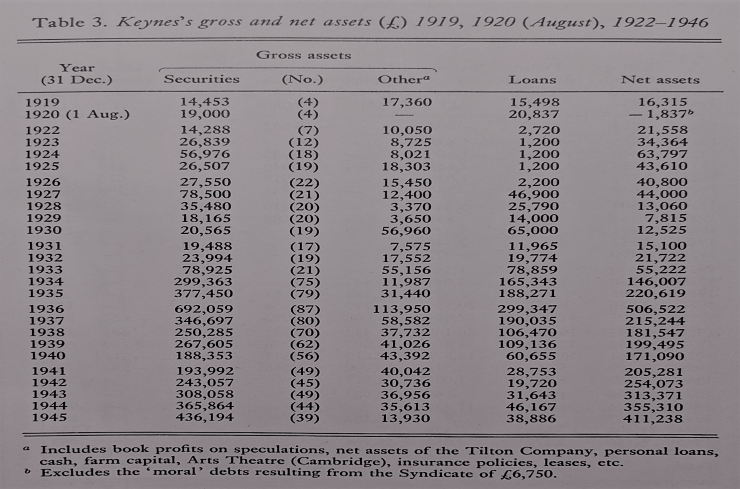 In the 1920s, for example, in five of the seven years between 1922 and 1929 Keynes did worse than the Bankers’ Magazine index. 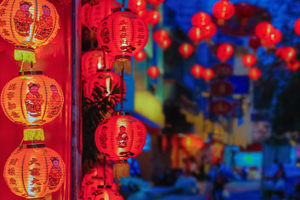 On the other hand, in the years after 1929, his investments outperformed the market in 21 of 30 accounting years and did so cumulatively by a large margin. As well, the figures indicate that he was much more likely to beat the market when it was rising. 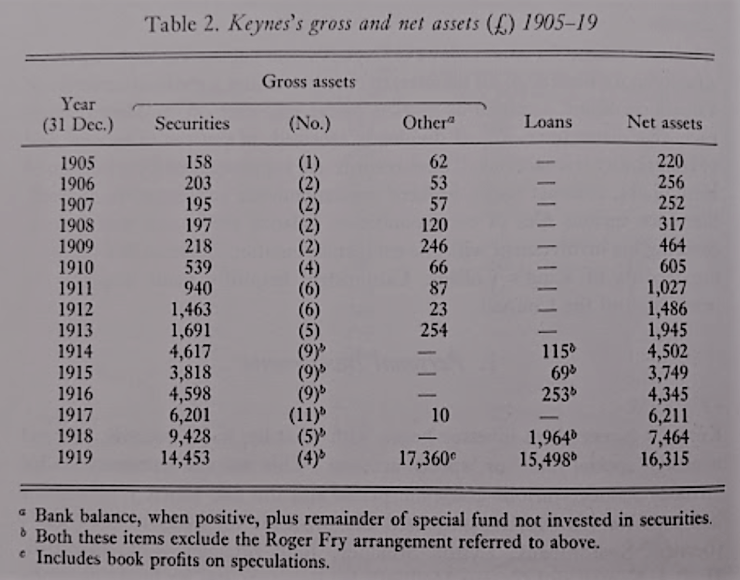 From the detailed records available, it is also clear that he was an extremely active investor… More often than not, especially after the late 1920s, the securities of a few firms would dominate Keynes’s portfolio. The combination of margin loans, a concentrated portfolio, and illiquid currency and commodity investments provided the boost he wanted when markets were rising. For the same reasons, he suffered more when markets fell. So the question is: Is following a similar strategy worth it? I guarantee a bunch of people will gaze at the last line of the last table and say absolutely. Keynes died wealthy, so of course, it’s worth it, right? But the two tables are just a snapshot of the end of year results. He invested through two World Wars and a U.S. Depression that reached across the globe. Yet, his entire experience is missing. The highs and lows of any given year are missing. The daily swings, week after week, every year for forty years is missing. Which securities he owned, how much of each, the ones he was forced to sell, and other decisions he made because of all of it are missing. The same can be said for what that remotely feels like in terms we can understand. I can’t add the daily swings Keynes put up with or what it felt like. 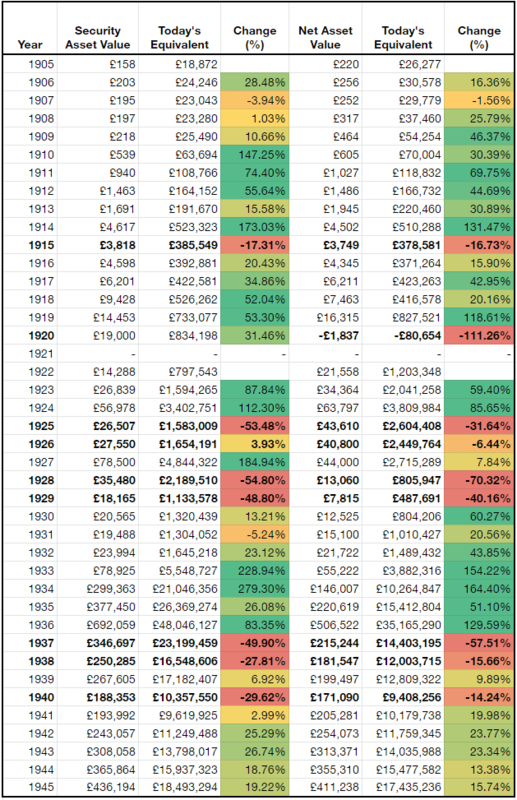 So instead, I threw a table together showing what it would look like in today’s terms, the swings in security values and total net asset value from one year to the next ( the UK inflation calculator helped do the math).